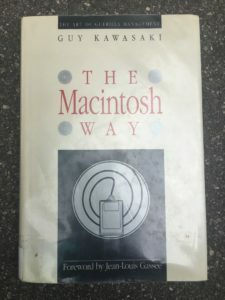 The Macintosh Way is Guy Kawasaki’s vision of “doing the right thing and doing things right”. This book is a nostalgic reference to one of the greatest eras in modern computing – the 80s. Essentially, it is an insider’s look at the Art of Guerrilla Management and is a very effective game plan to building a lasting organization. Apple is one of the elite technology companies in the world and has been that way since its inception. 1984 was the introduction of the Macintosh which ushered in a whole new era of computing. As the chief evangelist for Apple, Guy leads you into the trenches of doing battle at Apple and creating game changing products. If you have read some of Guy’s other books, such as The Art of The Start, then you may recognize his fun, breezy writing style. The book is engaging and sprinkled with wit and humor throughout the pages which makes the story of Apple seem even more epic. 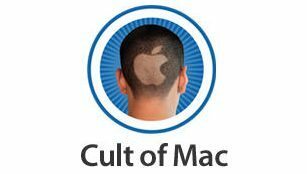 When it comes to establishing a Macintosh Way environment, the top guy is the most important factor. They reflect the personality of the organization. If the top guy changes perspective so goes the organization. If the top guy is “the man” and has unstifled creative control over the company then the organization will be unstoppable. Secondly, hiring the right people and instilling the correct values is critical to running an effective Macintosh Way organization. Being a Macintosh Way company means making your best effort, putting everything on the line and swinging for the fences. Even when Macintosh Way companies fail, they do it with style and the knowledge that they gave it their best shot. Every experience is something to gain. Product development is an art, not an assembly line process. It is very much both an intellectual and artistic endeavor that is almost impossible to master. A Macintosh Way company knows this and puts it into action. There are four characteristics of a great product: Deep, Indulgent, Complete and Elegant (DICE). Great service is the third essential ingredient of the Macintosh Way. Support should be ingrained into every company regardless of cost. Instead of viewing support as an extra cost, make it the utmost priority. Service is the first line of defense for your customers problems, and understanding your customer is essential to making great products. The Macintosh Way companies do things right for the sake of doing things right. Marketing is the fourth essential ingredient of The Macintosh Way. Rather than focusing on the technology used for marketing, The Macintosh Way advises to focus rather on the marketing of the technology. Substance over form. Grab the hearts and minds of your customer and you will have their attention. In terms of doing the right thing user groups, communities, key influencers and cults are vital to getting to the heart of your customers. Members of the user group support one another on the overall vision and, in essence, will vouch for the company as evangelists. Evangelism is selling a dream. It is getting other people to believe in your product because they love it. There is no “convincing” people that your product is better. The outstanding product, customer service and brand should speak for itself. At its core your company should have the right environment, products, customer support and informative marketing. And the positioning must be clear. This book is a gem. Good luck finding a copy. Knowing how Apple exists at its core can reap great dividends in the future when it comes to launching your own particular software on an Apple platform. In an era where Apple dominates mobile computing and the app marketplace, it would behoove fans to learn more about its history, philosophy and culture. The Macintosh Way is a "take-no-prisoners guide to marketing warfare" says Jean Louis Gasse, founder and president of Be, Inc. Must reading for anyone in the high-tech industry, it is valuable, insightful guide to innovation management and marketing for any industry. The Macintosh Way is a “take-no-prisoners guide to marketing warfare” says Jean Louis Gasse, founder and president of Be, Inc. Must reading for anyone in the high-tech industry, it is valuable, insightful guide to innovation management and marketing for any industry. If you are a Steve Jobs fan, Apple fan or just want to learn the inside history of one of the worlds greatest companies then this book is for you. Although the Macintosh is no longer relevant and many of the examples are outdated, the practical tips for developers still hold true today for Apple platforms such as iOS or OSX.